World Oceans Day is held every year on 8th June to raise awareness of the vital importance of our oceans and the role they play in sustaining a healthy planet. A global celebration, it looks to bring people and organisations together across the globe in a series of events highlighting how we can all help protect and converse the oceans. 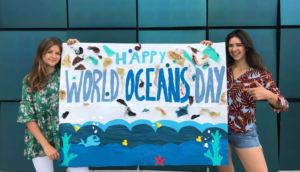 Originally an idea put forward by the Canadian Government at the 1992 Earth Summit in Rio, World Oceans Day has been organised by the Ocean Project group since 2002. In 2008 the day gained official recognition from the UN General Assembly, a boost in raising the profile of the day and its goals. The number of countries and organisations who mark World Oceans Day grows each year in recognition of the importance of oceans worldwide. In 2018 World Oceans Day aimed to focus attention on the scourge of plastic pollution in our oceans. Free resources were available to download to help illustrate the many problems surrounding plastic pollution, plus ideas and tips on how to raise awareness of the subject at your events. 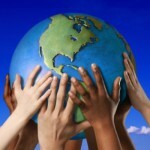 From film screenings to art, beach cleans to festivals, events across the world were held to mark the day. Find an event near you by using the event finder on the World Oceans Day website event finder and get involved in helping to protect our blue planet. The oceans provide food, generate oxygen, regulate our climate and so much more. This global celebration recognises the importance of preserving healthy oceans.